For 2018, Wilson has consolidated the Pro Staff series which now includes the RF97 Autograph, the Pro Staff 97 Countervail and the Pro Staff 97L. 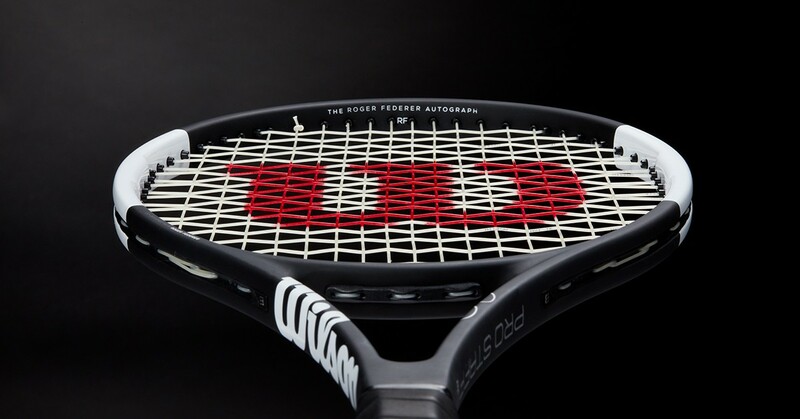 Roger brings the new Pro Staff series to completion with the full black & white tuxedo look. The specs remain the same as the "blackout" models. 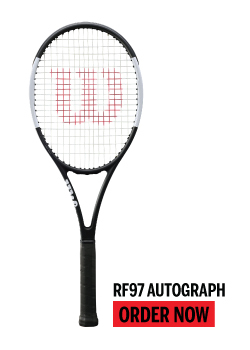 The Pro Staff RF97 Autograph is perhaps, the ultimate weapon available. With its ultimate feel, stability and playability, the RF97 is precise enough for any player. The Pro Staff 97 Countervail is a more accessible(weight) Pro Staff for both intermediate and advanced players alike. The 97C retains most of the stability & playability of the RF97 without some of the weight while adding significant dampening. The Pro Staff 97L is the lightest & quickest of the three. 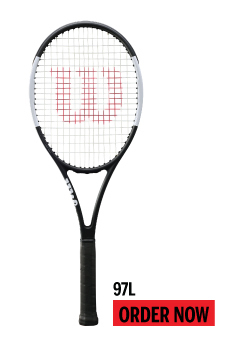 The 97L remains the most stable racquet in it's weight class.